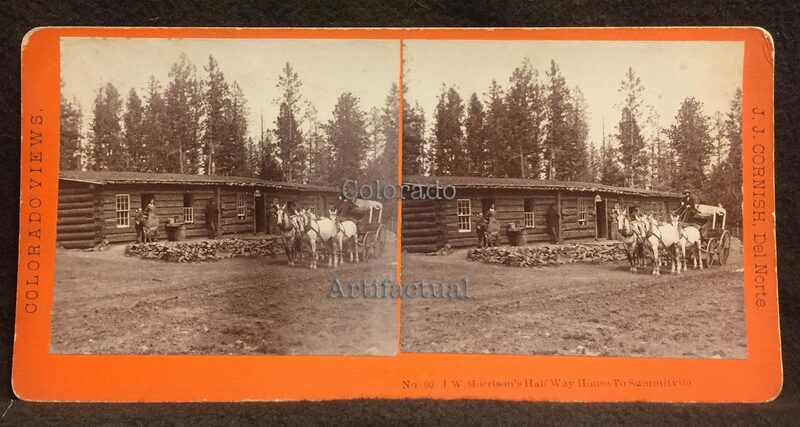 J. W. Morrison’s Half Way House to Summitville, Rio Grande County, Colorado. J. J. Cornish stereoview #66. 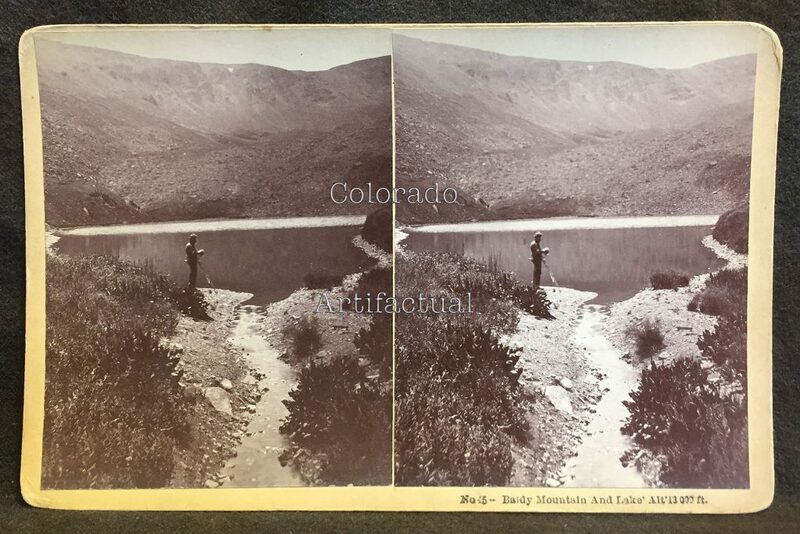 J. J. Cornish stereoview #45: Baldy Mountain and Lake, Altitude 13,000 feet. Del Norte, Colorado, 1882. Toll House on Summitville Road, Rio Grande County, Colorado. 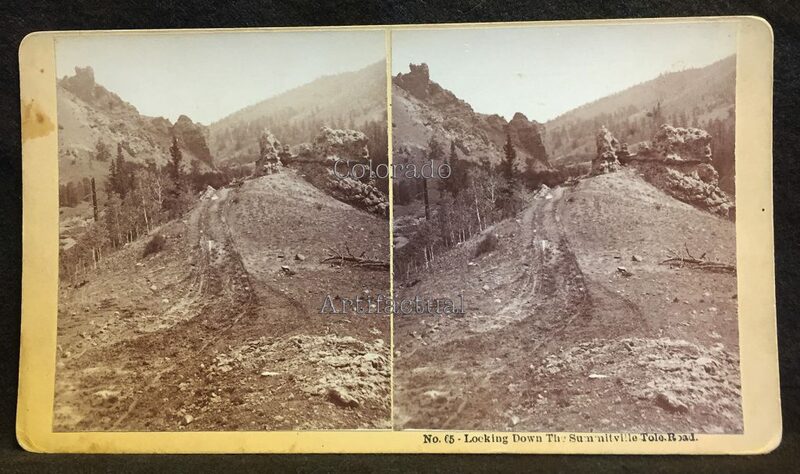 J. J. Cornish stereoview #67, circa 1885. 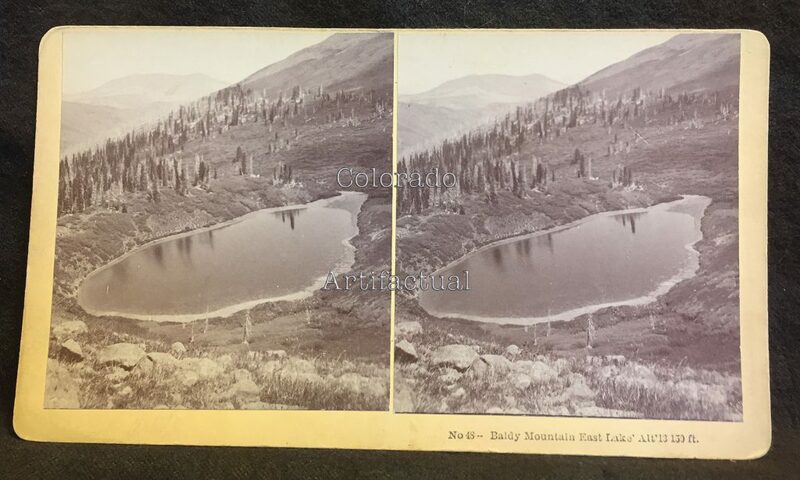 J. J. Cornish stereoview #46: Baldy Mountain Lake, Altitude, 13,100 feet. Colorado, circa 1882. Iowa & Colorado Mills, Summitville District, Colorado. J. J. Cornish stereoview #68. 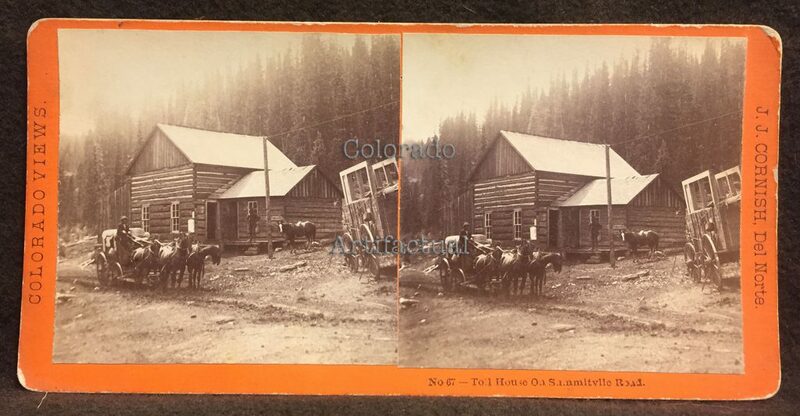 1875 – 1876: the Summit District retained prospectors and miners year-round for the first time. 1877: population neared 250. 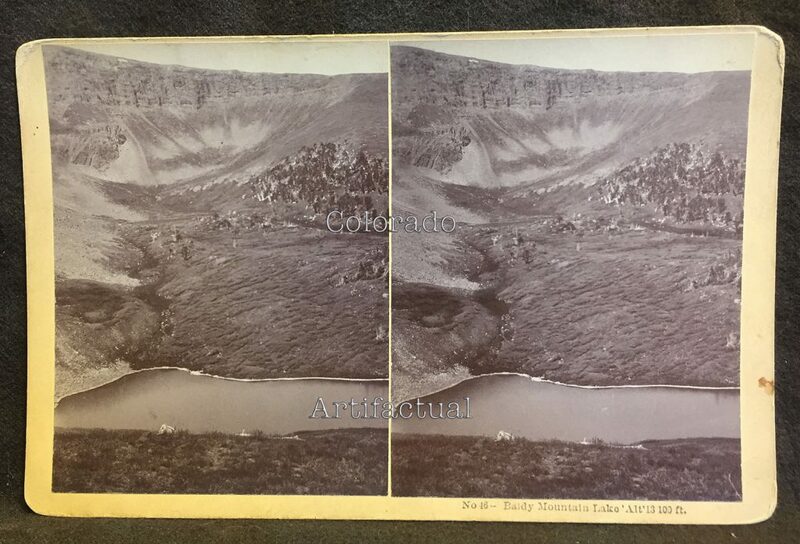 J. J. Cornish stereoview #48: Baldy Mountain East Lake, Altitude: 13,150 feet. Colorado, circa 1882. 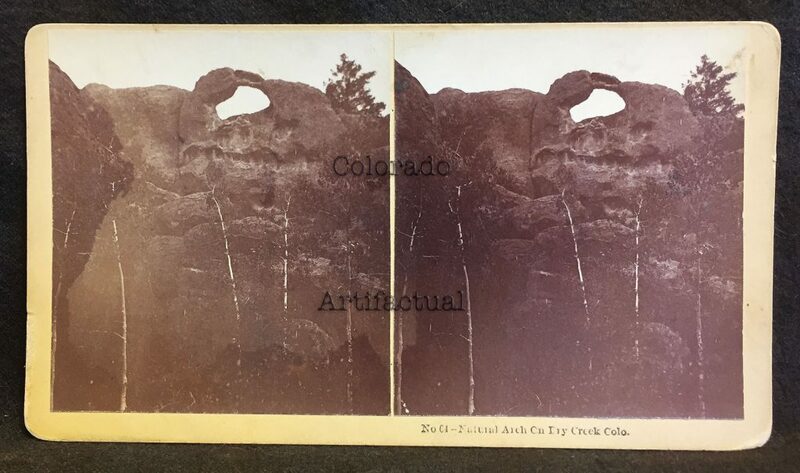 J. J. Cornish stereoview #57: Natural Wall & Great Arch, Saguache County, Colorado. Circa 1882. The Little Annie and Golconda mines installed gravitation tramways to transport gold ore down steep distances to mills near Summitville. 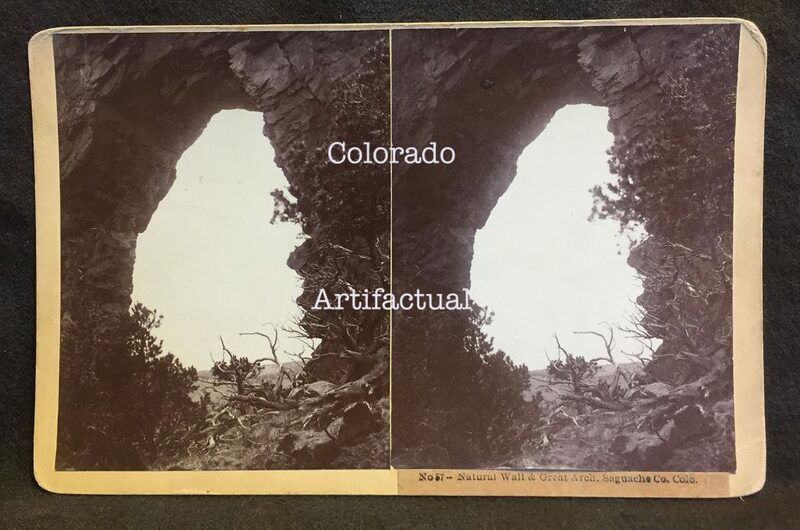 J. J. Cornish stereoview #64: Natural Arch on Dry Creek, Saguache County, Colorado. Circa 1882. 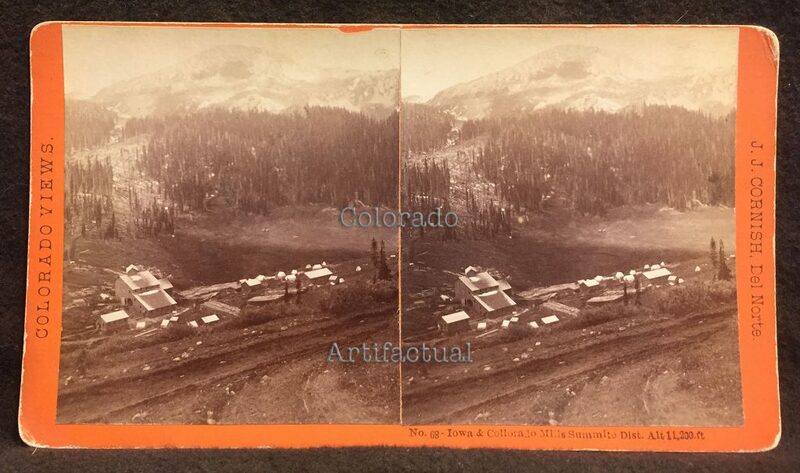 J. J. Cornish stereoview #65: Looking down the Summitville Toll Road, Rio Grande County, Colorado. Circa 1882. A. E. Reynolds ultimately consolidated a significant portion of the producing mines on South Mountain into the Consolidated Gold Mining Company, including the Iowa & Colorado Gold Mining and Milling Company. This Company worked several of the richest properties until 1915; after which, T. N. Barnsdale, of Pittsburgh, Pennsylvania acquired control of the South Mountain mines. 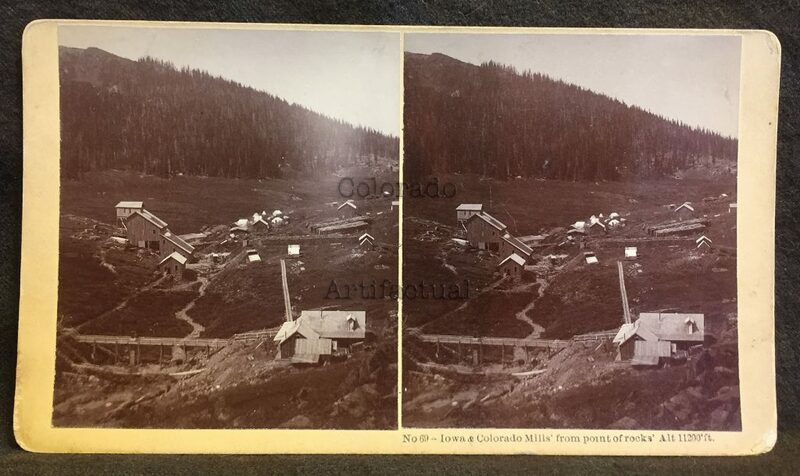 J. J. Cornish stereoview #69: Iowa & Colorado Mills from point of rocks, altitude 11,200 feet. Colorado, circa 1882. 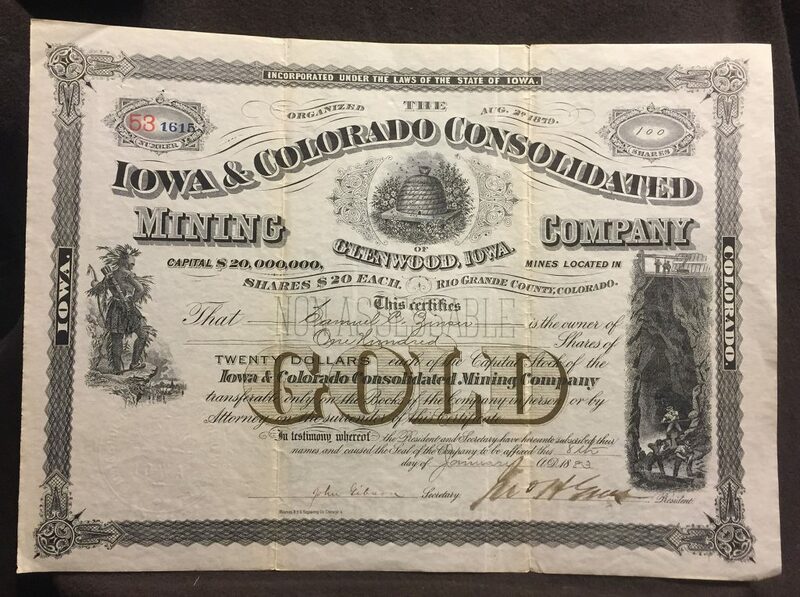 Iowa & Colorado Consolidated Mining Company, Rio Grande County, Colorado, stock certificate issued 1883, not cancelled, on gold mining property in the Summit District.